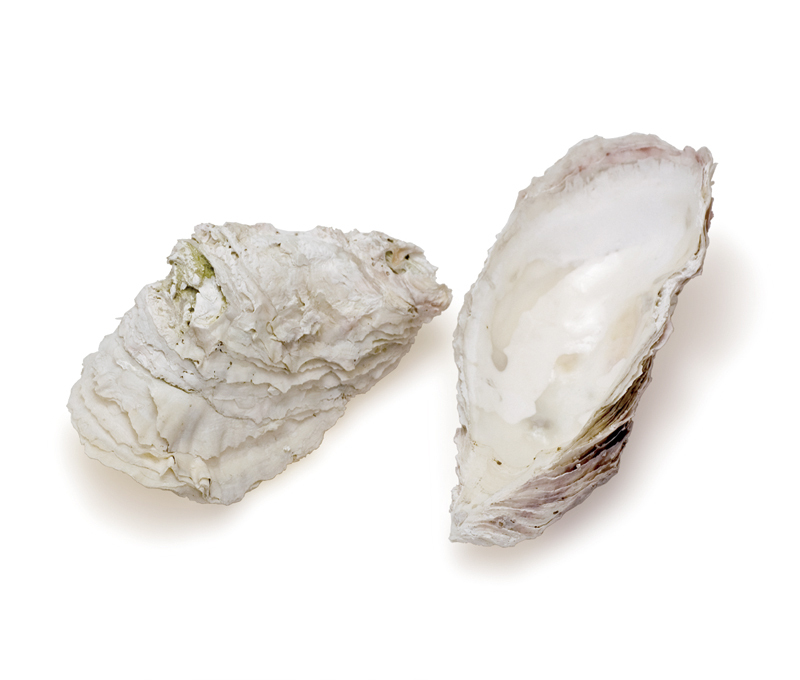 Gofun is a white pigment made from the shells of oysters, clams, scallops, etc. used in Japanese paintings. Its main component is calcium carbonate and is characterized by the fine particles which produce a smooth matt texture. Gofun itself has no adhesive properties and is mixed with glue solution to fix it to the support medium. 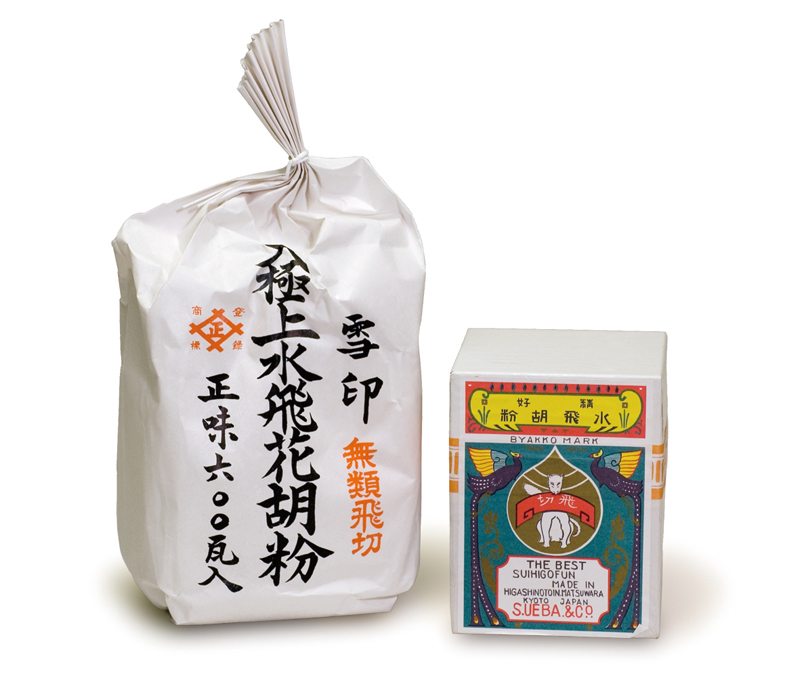 It has a broad usage and is an important component of nihonga paint. In addition to producing white paint, it was also mixed with other colors because nihonga paint was only available in a limited number of colors. A mixture of gofun with sumi is called guzumi and that with vermilion (shu) is called shunogu; in each term, “gu” stands for gofun. Gofun is used in a variety of ways such as to improve the color of the paint, as a base coat to add volume to the painting, and for the finish. It is also the raw material of mud pigments which are dyed with colors. “Go” in gofun is “Hu” in Chinese and is a term for the ethnic tribes on the western frontiers of ancient China. Therefore, gofun (literally, Hu powder) refers to powder which was passed down from people in those areas. White lead was used until the Kamakura period but because lead turns black when it reacts with vermilion or is left in hot and humid conditions, shells came to be used in its place from the Muromachi period and are still used today. In the production of gofun, the shells are left to weather over many years to remove the impurities on the surface. These are crushed in a mill, kneaded with water and pulverized in a stone mortar via a wet grinding process. The powder is then separated through elutriation, utilizing the differences in sedimentation velocity depending on the weight of the particles. It is then poured out in a thin layer on a cedar board, dried in the sun and then removed from the board by knocking. Gofun is sorted into several types based on the type, size and part of the shell it was made from, or the level of refinement. Fine powder has a soft color and is used for the top coat or the finish. 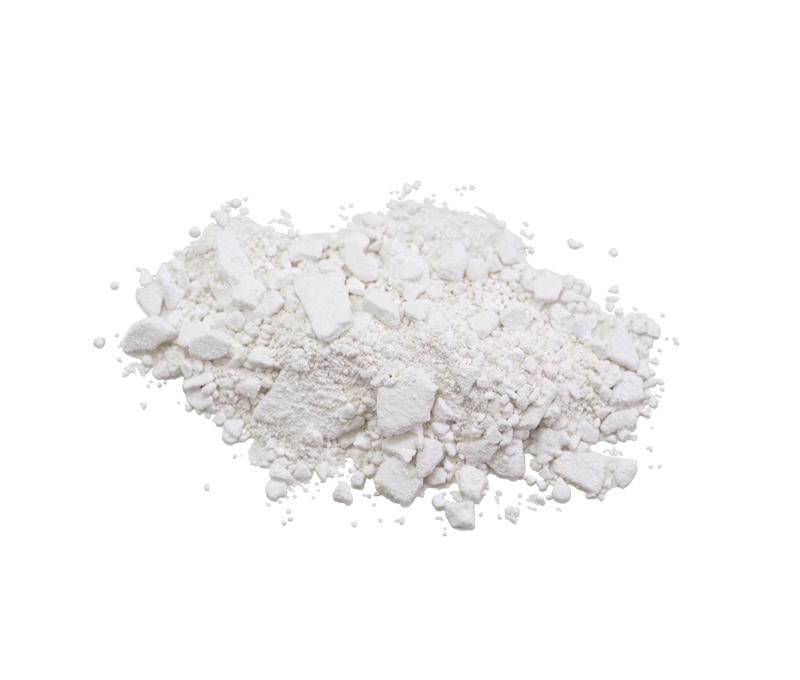 Coarse powder is white and has good covering properties. The irregular particles make it suitable for filling in gaps and it is therefore used in base coats and for adding volume. Different types should be selected according to their use. To prevent it from cracking and peeling, gofun should be mixed with glue with time and care. Because it is used frequently for various purposes but takes time to prepare, it is best to prepare a generous amount of this glue mixture and then to scoop the amount required each time onto a palette for use. A dough or paste of gofun can be stored in a refrigerator for 4 to 5 days. After taking it out of the refrigerator, it should be placed on a palette and melted with an electric heater, etc. Gofun can be purchased at art supply stores that handle nihonga supplies.